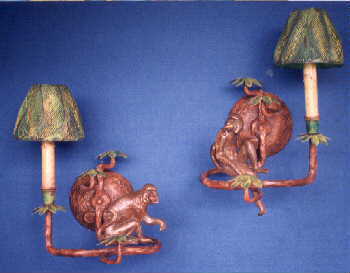 Description: Left or Right facing branch monkey sconce. Takes 60 watt bulb with drip candle cover. Shade $50 extra. Can be made 9". Resin &steel. Shades extra.